20-20 Vision – You are not what you think you are. What you think, you are. You are not what you think you are. What you think, you are. 20/20 vision is a term used to express normal visual acuity (the clarity or sharpness of vision) measured at a distance of 20 feet (about 6 meters). 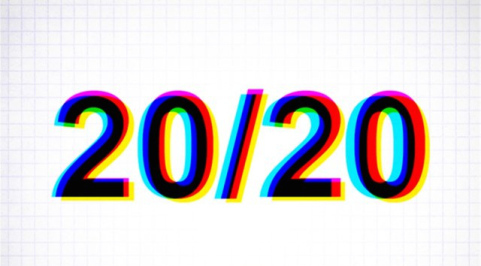 If you have 20/20 vision, you can see clearly at 20 feet what should normally be seen at that distance. If you have 20/100 vision, it means that you must be as close as 20 feet to see what a person with normal vision can see at 100 feet. Having 20/20 vision does not necessarily mean you have perfect vision. 20/20 vision only indicates the sharpness or clarity of vision at a distance. My name is Gerard Iga and my blog is my perspective of observations and reflections on my experiences of the world around me. It is by no means perfect, but comes pretty close. Joel Benjamin Nevender: Tribute To A Friend. Mount Wati: Conquering The South Side! 10 Little-Known Things To Do In Arua, West Nile. West Nile: A Virus Or A Place?